WBC 2017 Confirmations & More Last updated 7/18/2017. TO ATTEND WBC 2017, REGISTER ON-SITE. WBC 2017 Pre-Registration closed on June 22. Pre-registrations are NOT refundable. and continues each day during the convention beginning at 8am. PRE-REGISTER: WBC prides itself on being gamer friendly with a minimum of red tape. There are no sold out event tickets because there are no event tickets. One membership price covers all, with no additional event fees or tickets to worry about. There are NO refunds. Pre-registration can you save up to 50% off certain at-the-door admission prices and also saves time at check-in. However, pre-registration is a discounted rate granted in exchange for guaranteed attendance. Consequently, no refunds are available. This tool helps GMs speed player registration and recording event results. Please try out the spreadsheet before WBC begins. If you have any questions or run into any problems, you are likely to get more support before WBC than during. E-mail andy.latto@pobox.com to keep abreast of the latest updates. Hotel registration is handled separately. See our Hotel and Travel Information page for details. 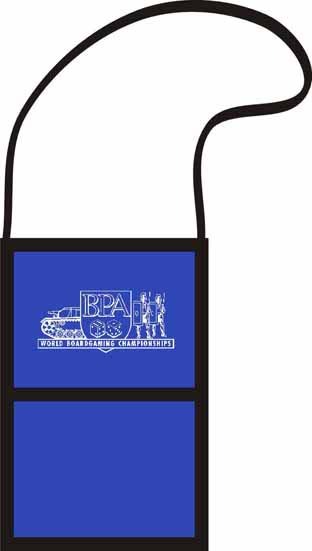 BADGEHOLDERS: You may have your pick of badge holding appliance—be it the free pin type or more elaborate clip-ons, magnetic or an official WBC pouch holder for a token $1 or $2 fee. You can even bring your own device so long as it displays a 3” x 4” badge. However, EVERYONE must have and wear a badge holder of some type during the convention—with NO exceptions. Don't expect to get a badge without it. And please help us to help you by wearing your badge at all times while in the meeting areas. PROGRAMS: Only one program per person is available. Programs—even in color—are also available on the WBC Schedule page (by approximately July 1). Program information is also available in the WBC mobile apps. BPA 2017 Membership List: An alphabetical list is posted below with the names of those entitled to attend WBC 2017. The level of membership is listed in parenthesis. All Tribune and Sponsor level members who paid by the deadline indicated in the BPA 2017 Terms and Conditions are entitled to a free souvenir shirt or hat and a $30 gift card on arrival. This list provides backup confirmation of the status of your registration in case you misplaced your email confirmation and is also useful as an easy checklist to see which old friends are attending this year. If your name appears here, your admission to WBC is already paid. Visit the Team Tournament page for information on how to register a team before July 10. Note: Convention programs will be provided at registration. Also, they will be available electronically before WBC from the Schedule page. Yearbooks for the previous WBC will be on sale at registration for $10 each while supplies last. For Logistics Coordination post to BPA/WBC social media listed on the home page. Send an e-mail to the Assistant Convention Director for further assistance.